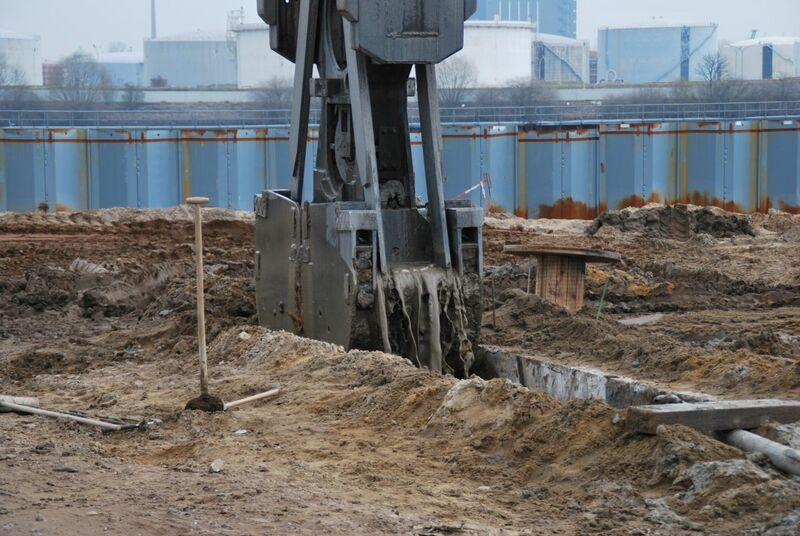 The project is the construction of a big commercial and residential area in northern Germany during foundations phase. 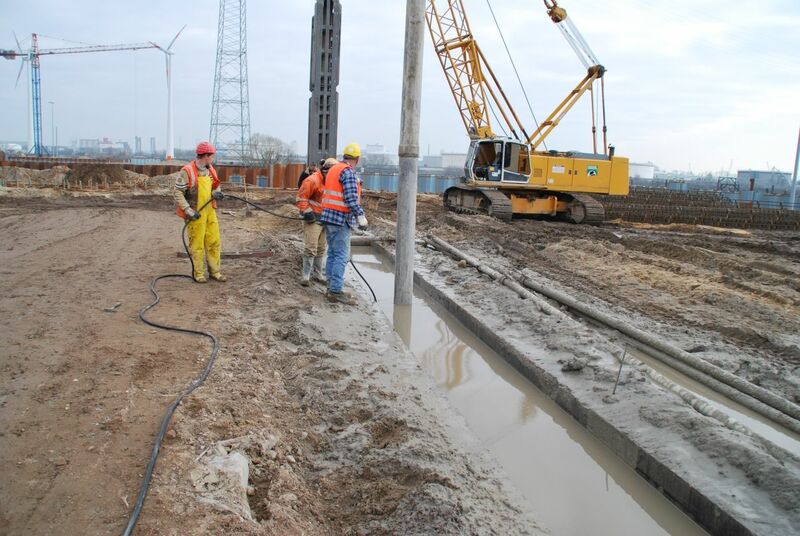 Diaphragm walls and Cut Off Walls are a techniques for the construction of permanent or temporary in-situ impermeable barriers. 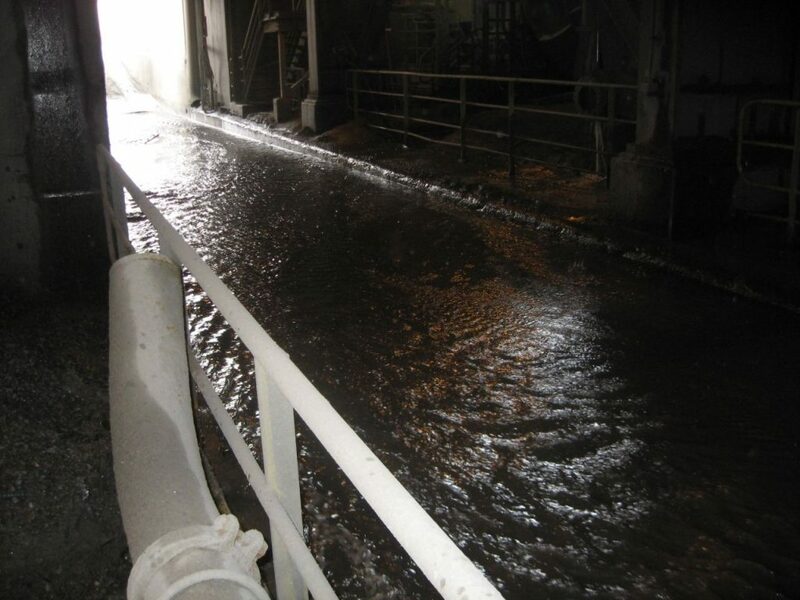 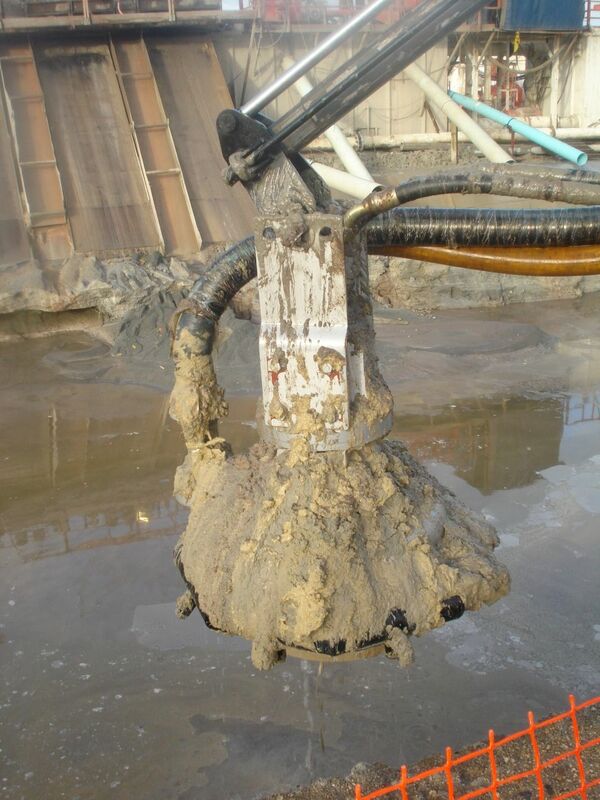 In order to stabilize side walls bentonite solution is needed. 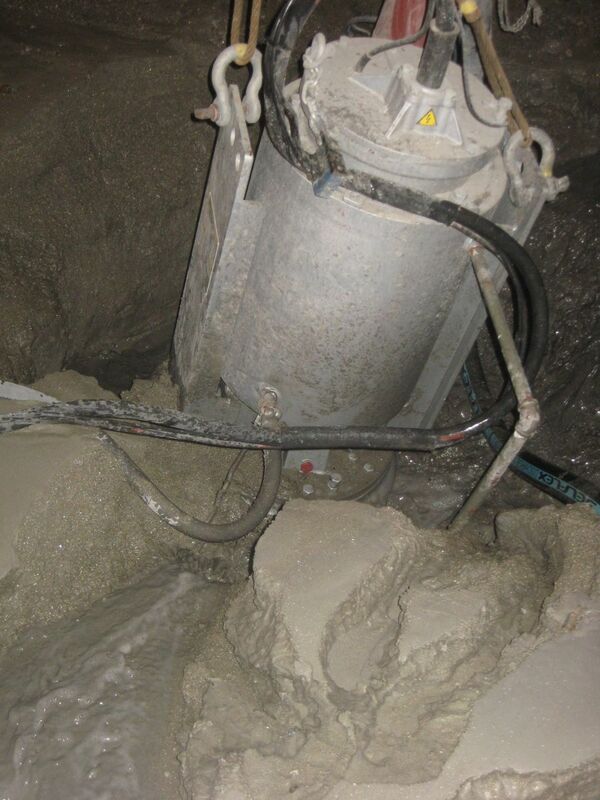 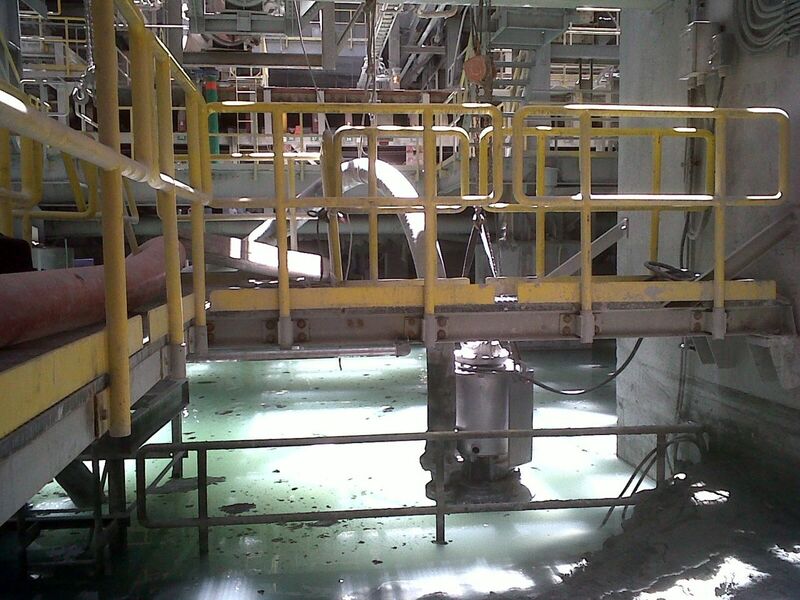 Dirty bentonite from the bottom of the diaphragm has to be continuously pumped into a recycler for regeneration. 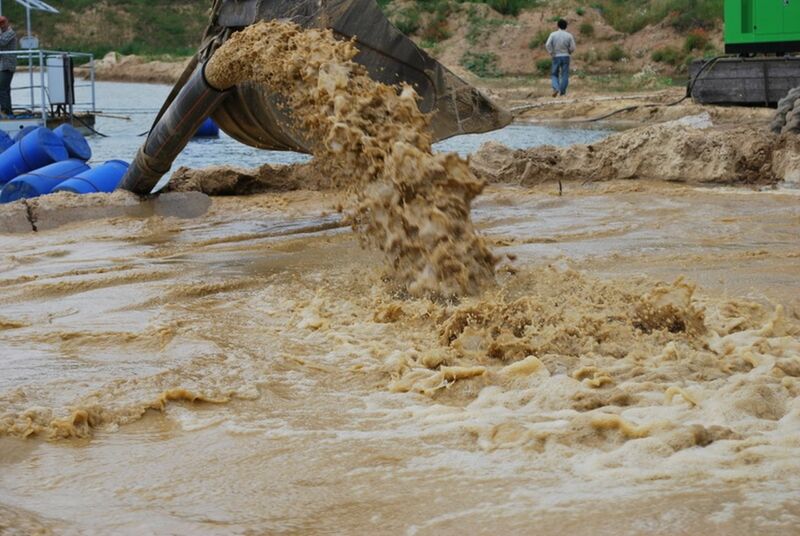 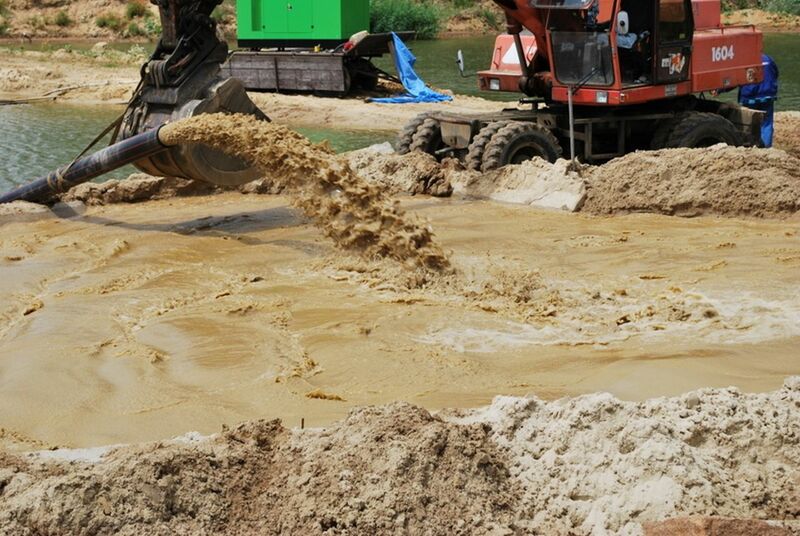 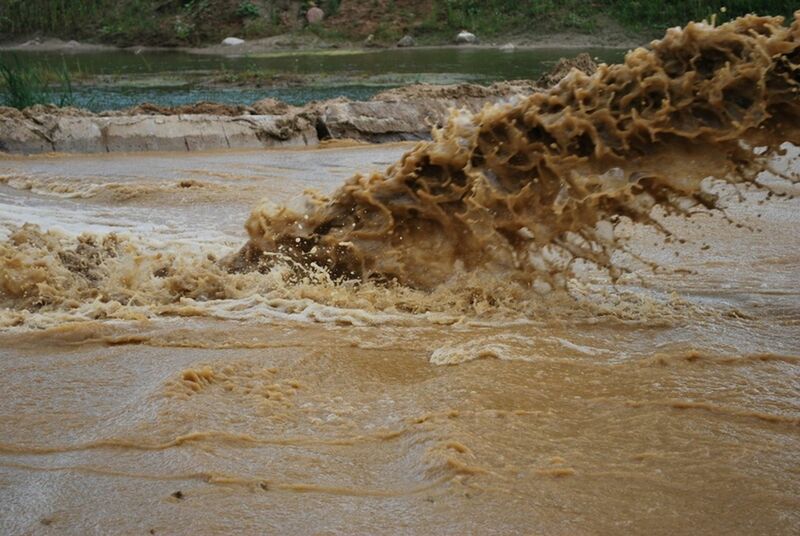 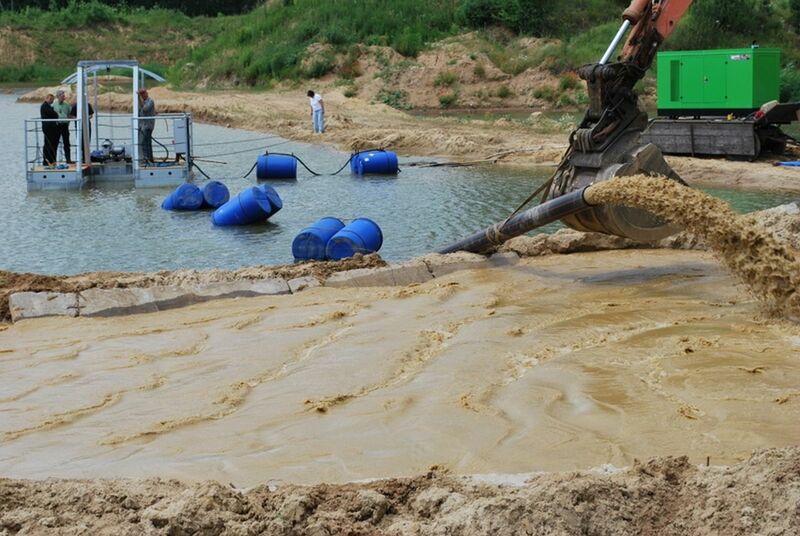 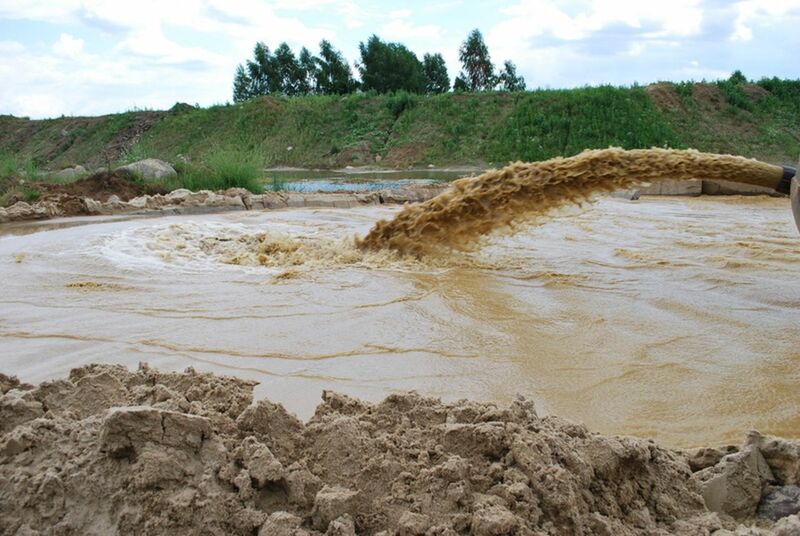 The mixture is very heavy and composed of dirty bentonite water mixed with sand, gravel and other materials. 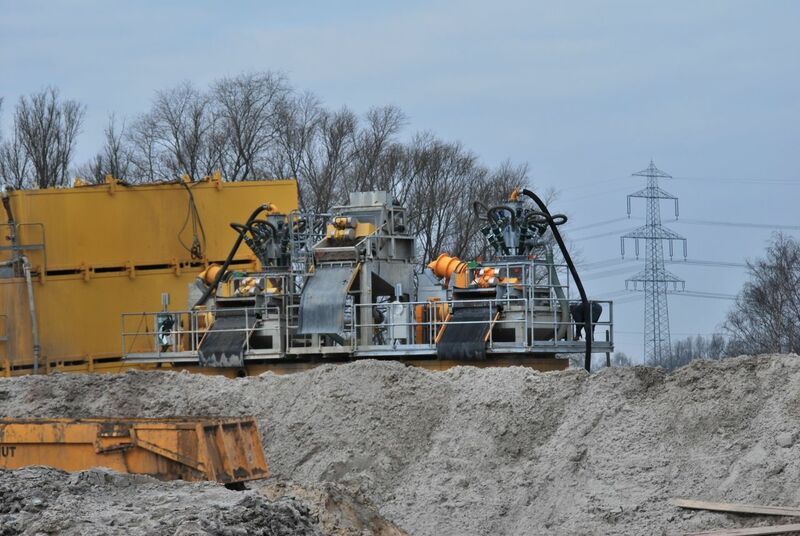 Working depth in this project was up to 50m and distance to the recycler up to 200m. 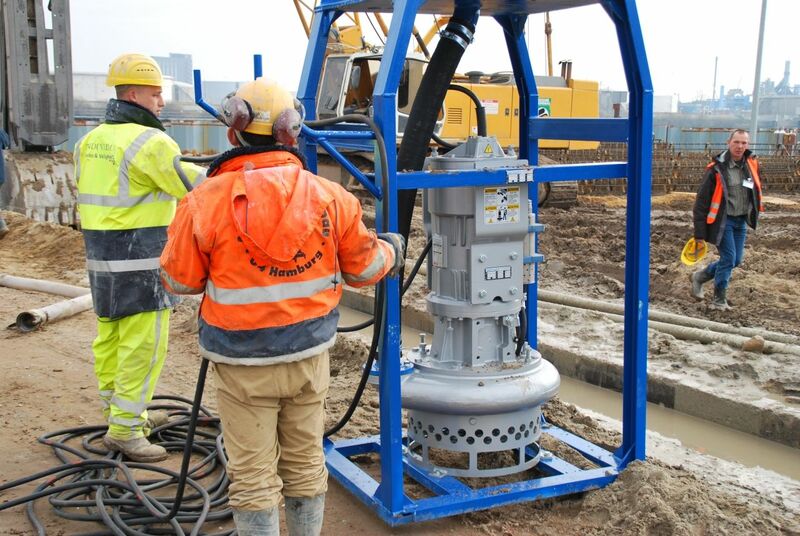 Dragflow electric pump EL35 equipped with pressure compensator in order to work at high depth and to pump mixture directly to the recycler. 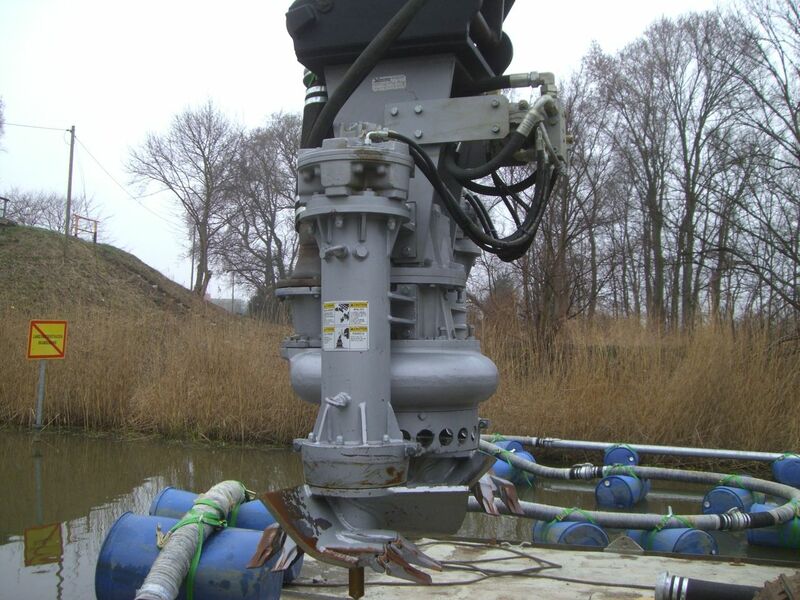 Dragflow pumps with pressure compensator have been developed with a special solution for quick cable replacement. 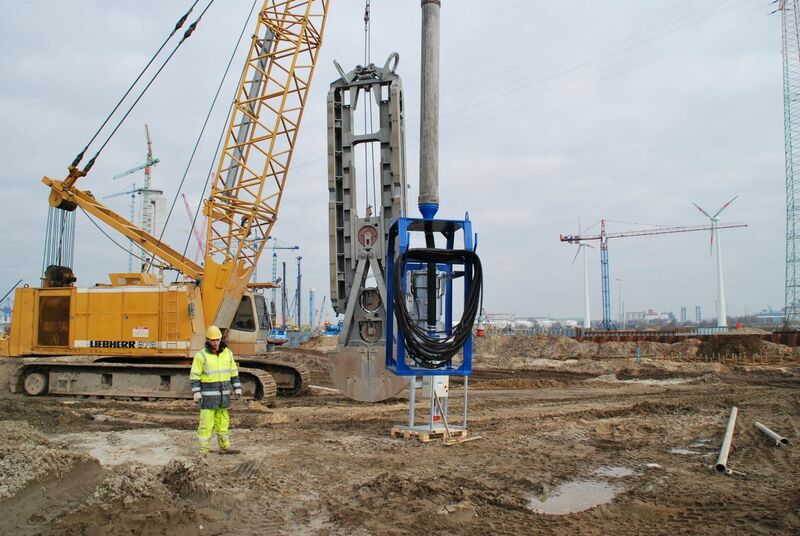 This feature is very important on construction site where working condition are very hard and the cable need to be changed frequently due to external damage. 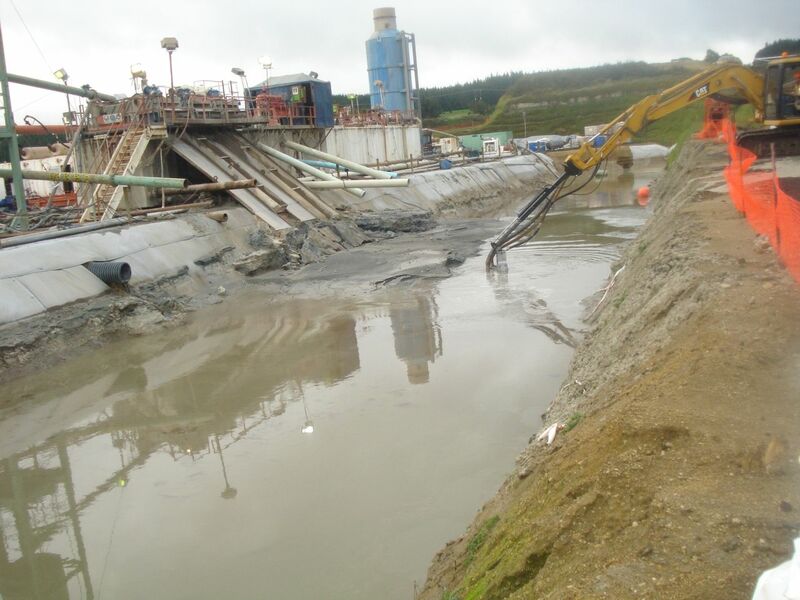 Pumps have been installed in Cerro Verde and Antamina mines in Peru for pumping tailings and material from in the process plant. 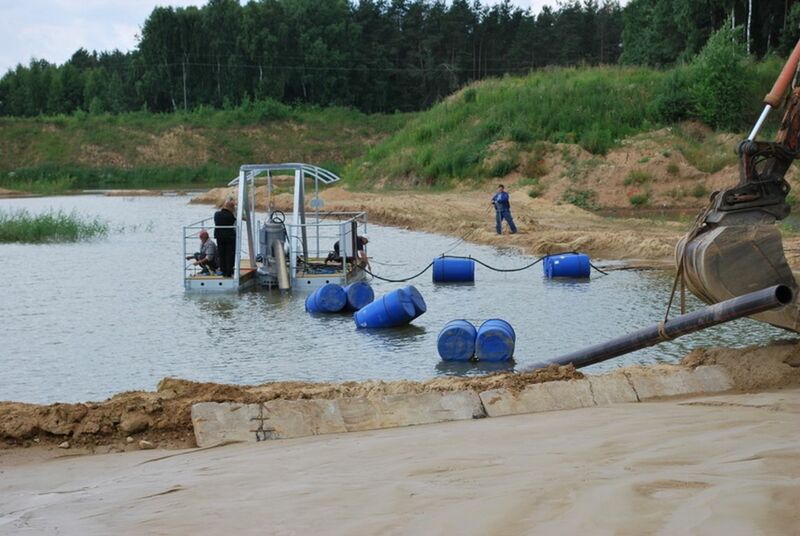 Both clients where looking for a pump able to handle slurry with high specific gravity and with solid concentration up to 70%. 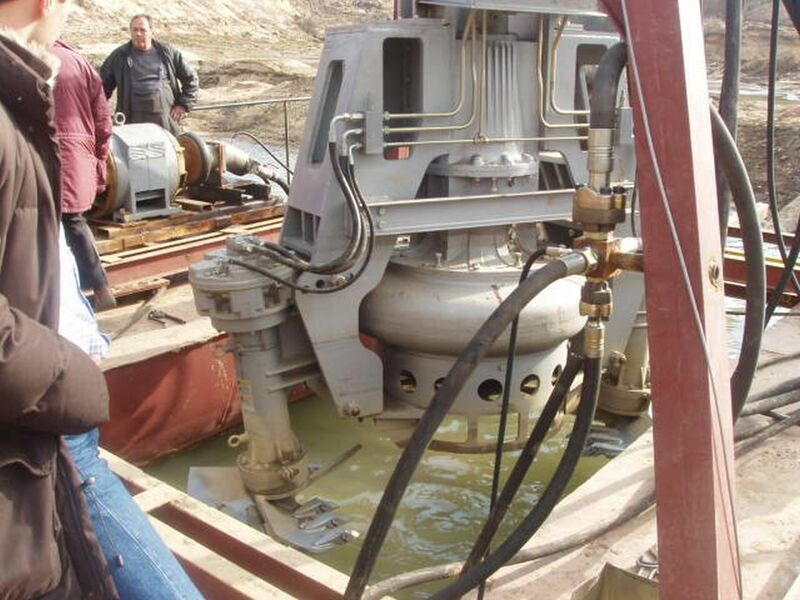 Dragflow Pump EL35 and EL606. 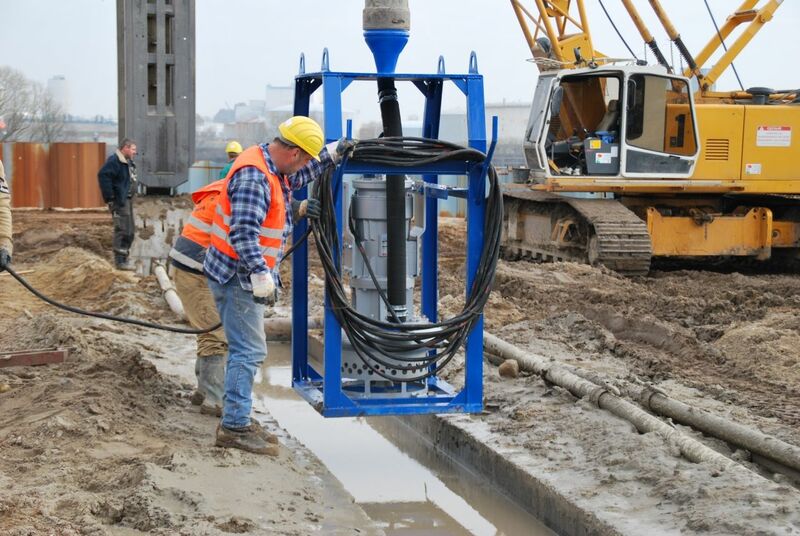 Pump EL606 has been supplied with: cooling jacket, to work partially submerged, high pressure water jet-ring, temperature control and moisture sensor. 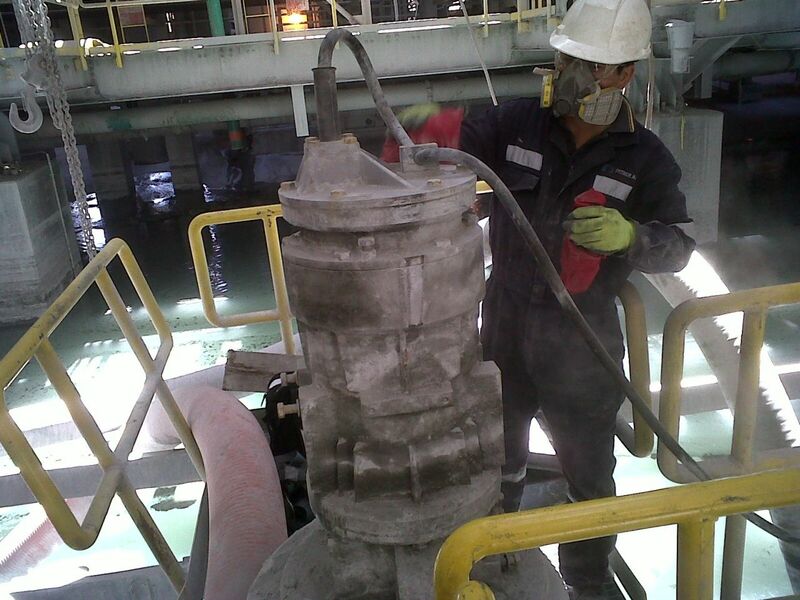 Impeller has been customized for the customer in order to meet the required performances. 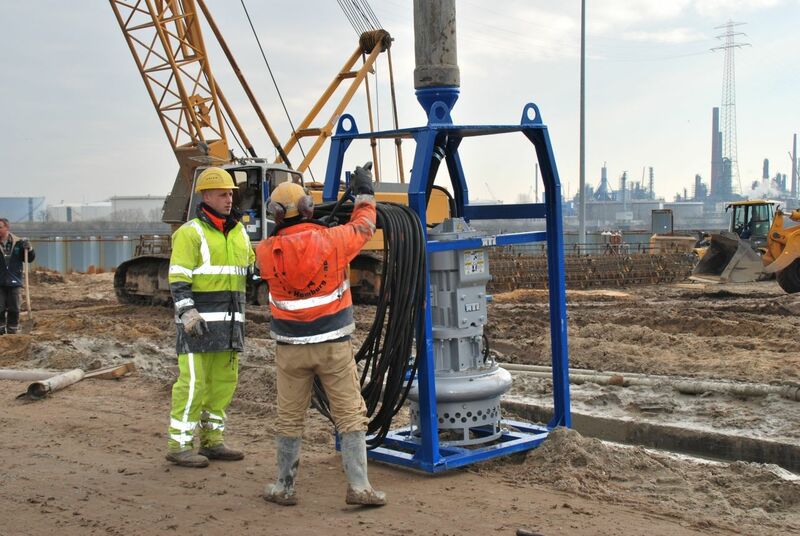 Dragflow Electric pump model EL60B. 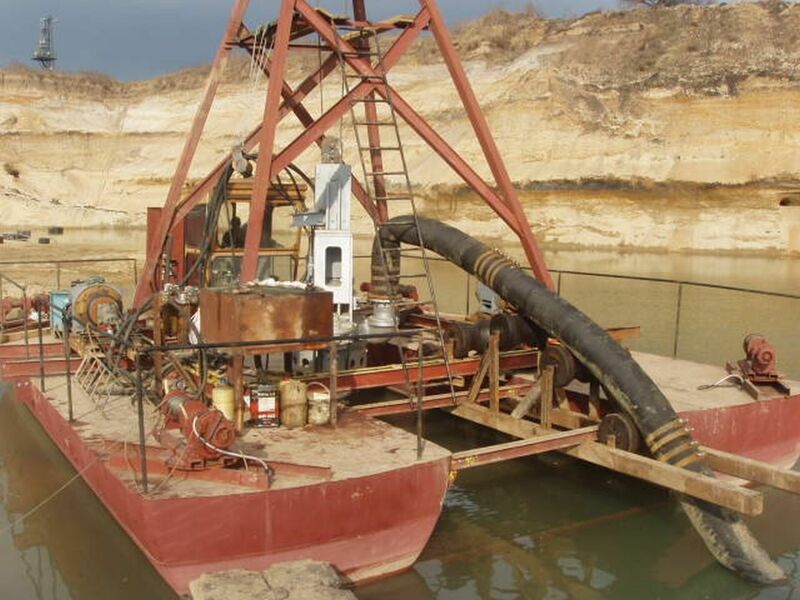 Thanks to the agitator, the pump metallurgy and the pump structure Dragflow pump is the right solution for high solid production, durability and flexibility. 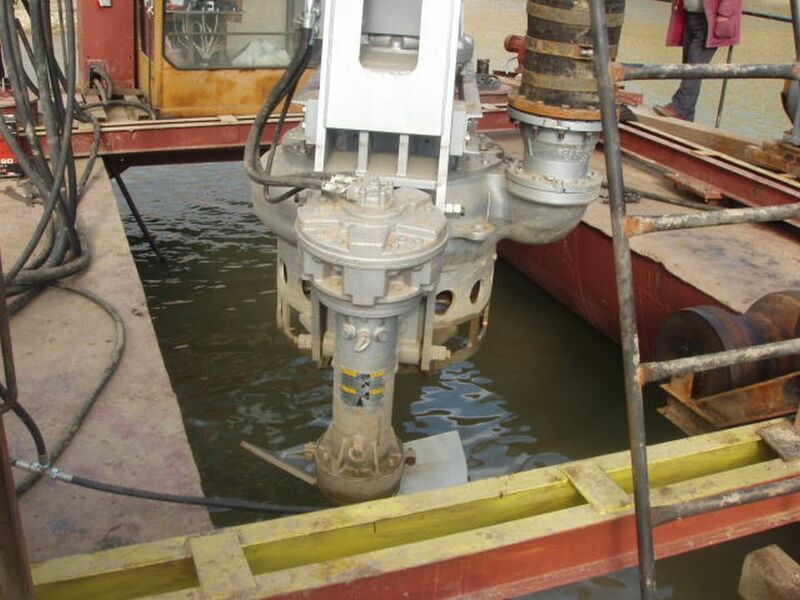 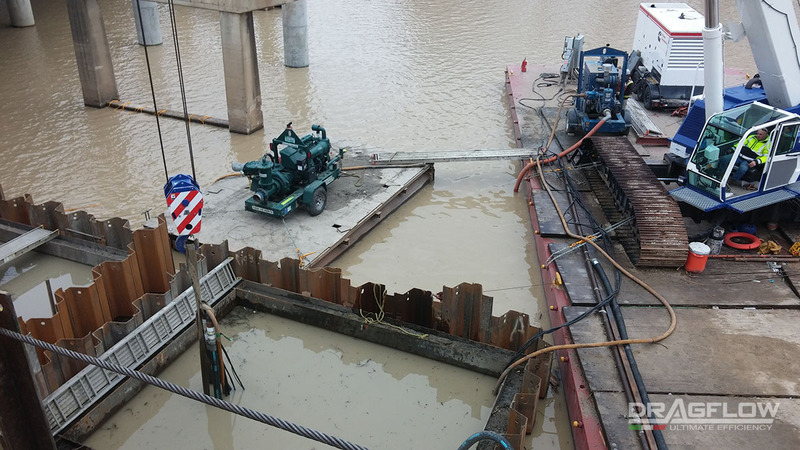 Dragflow supplied an electric dredging pump with side cutters and jet-ring system for an infrastructure project consisting in the construction of a bridge on the river. 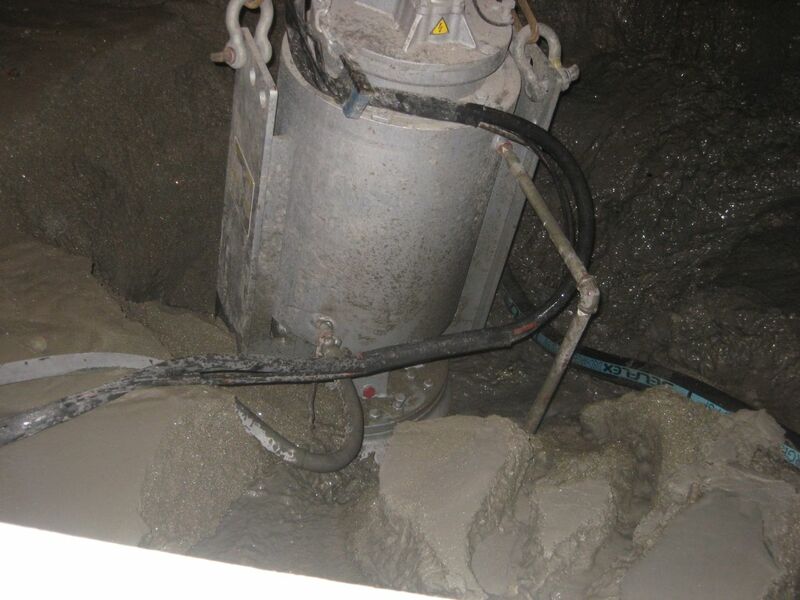 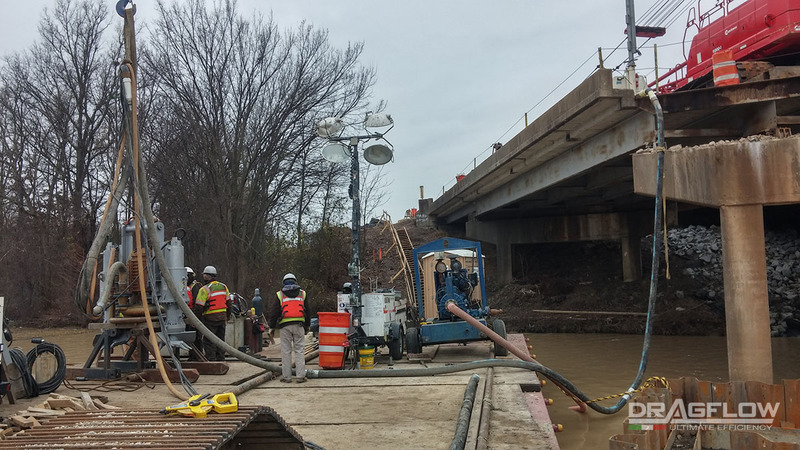 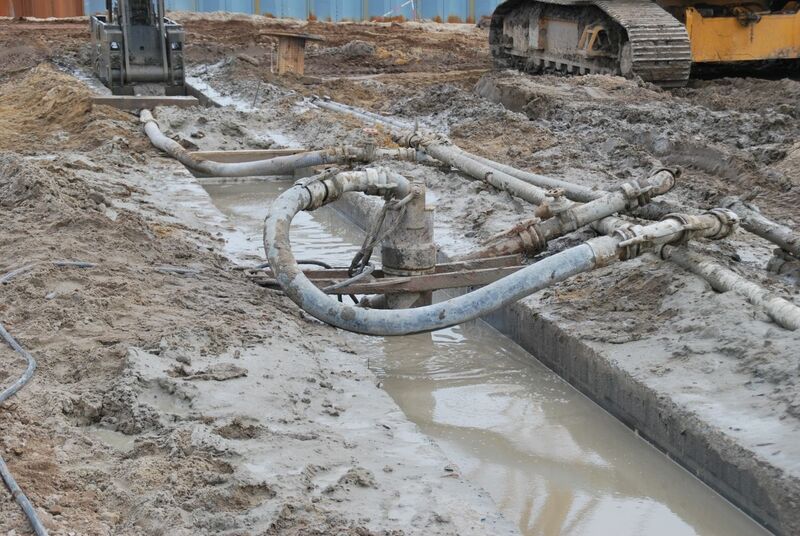 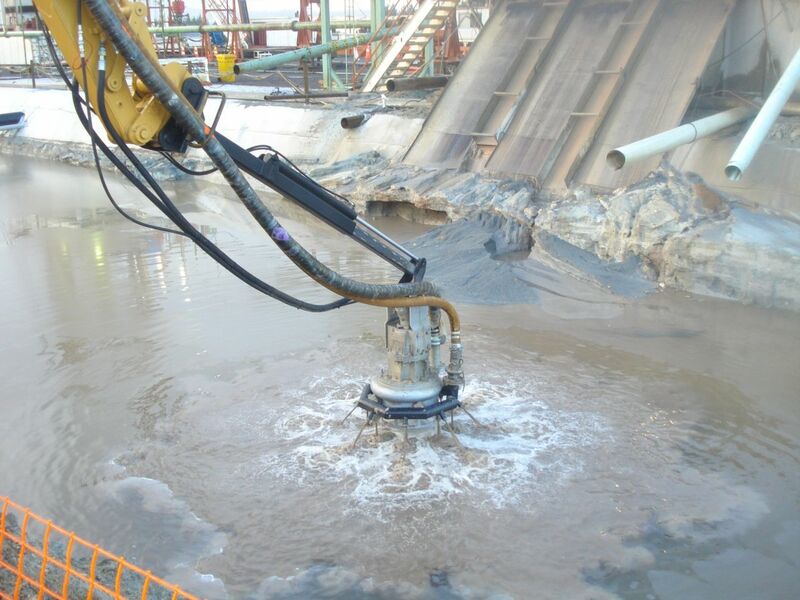 The costumer has been using the Dragflow unit to excavate for the foundations of the bridge pillars. 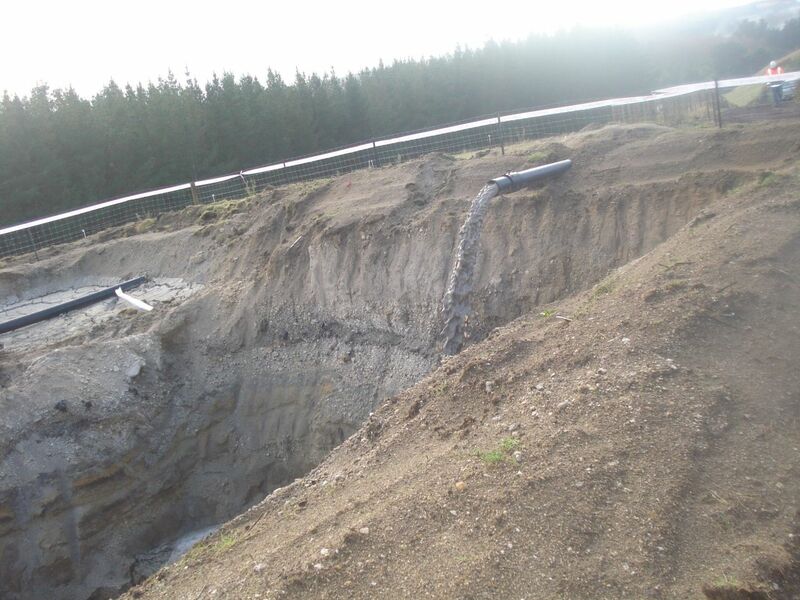 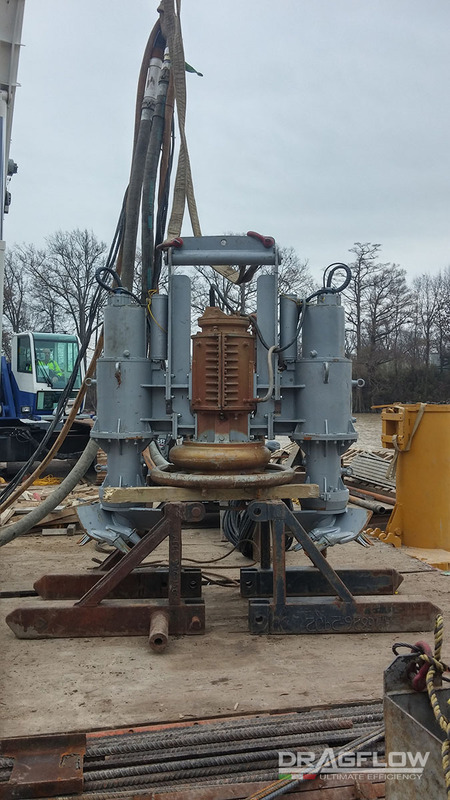 The project consisted in lowering the sheet piling into the river bed and dredging with the Dragflow unit inside the four sheets removing the material at the bottom. 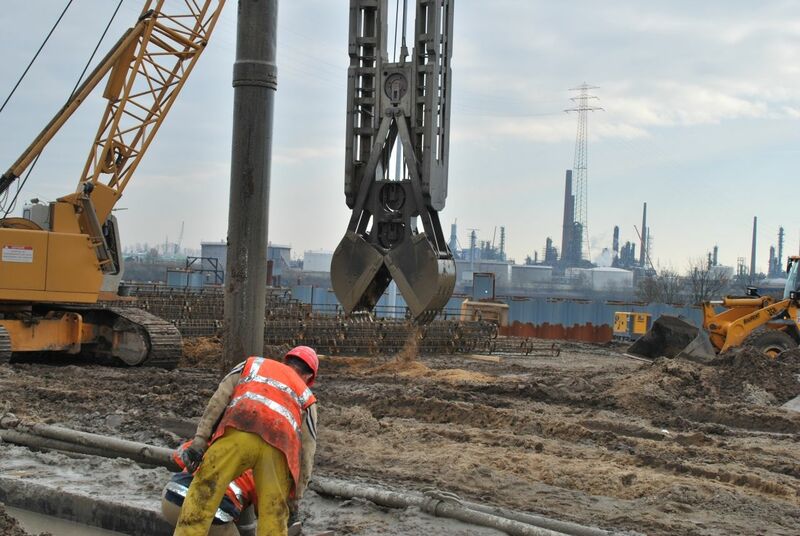 The customer was looking for an alternative way to excavate the bridge pillars foundation: a more efficient and faster method than the standard mechanical excavation with earth moving machine. 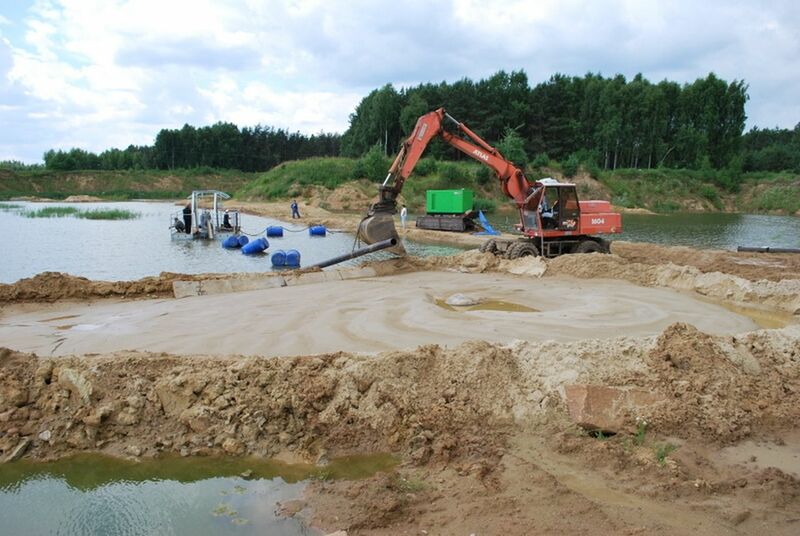 The pond is on a drilling rig site. 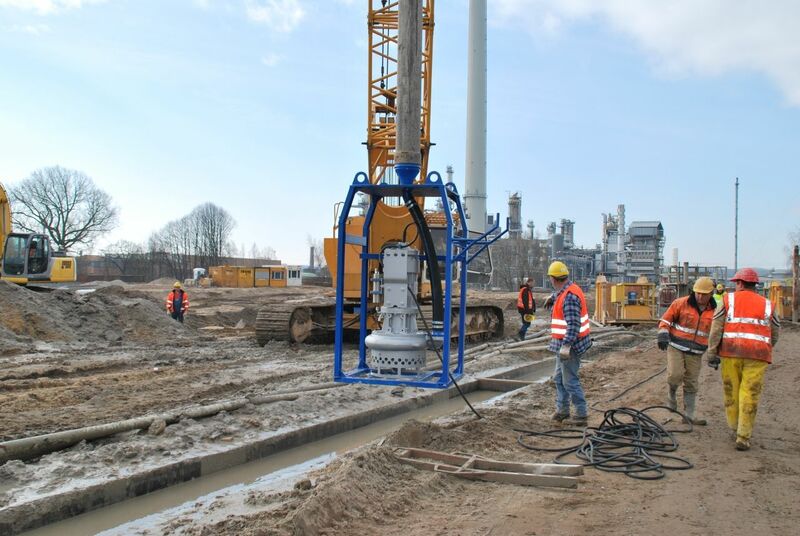 The rig is used for Geo-thermal power exploration. 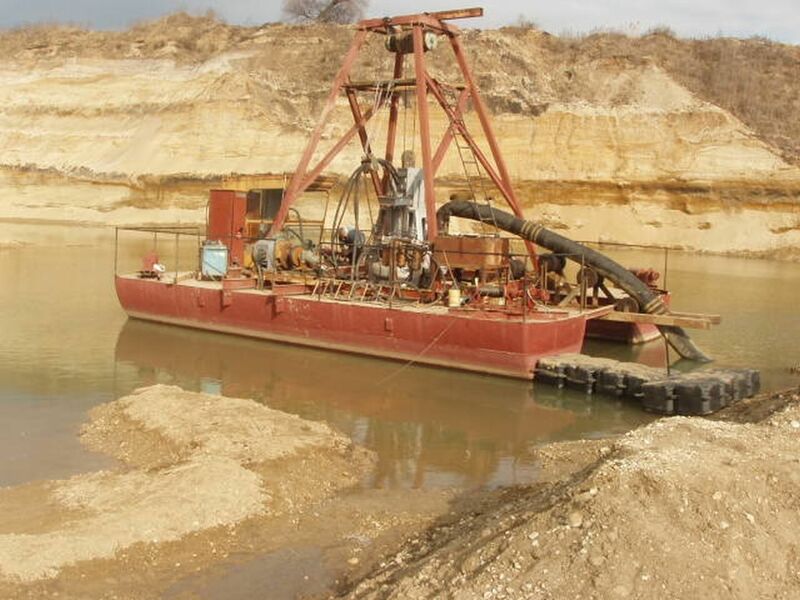 Pumping heavy slurry: bentonite, geo-thermal minerals, drilling fluid, sand, pumice. 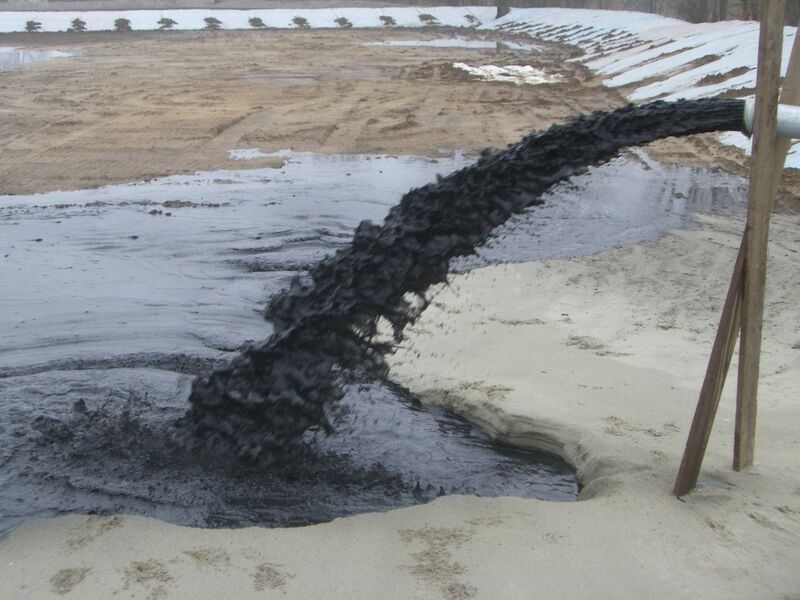 Performance of sucker trucks where unsatisfactory. 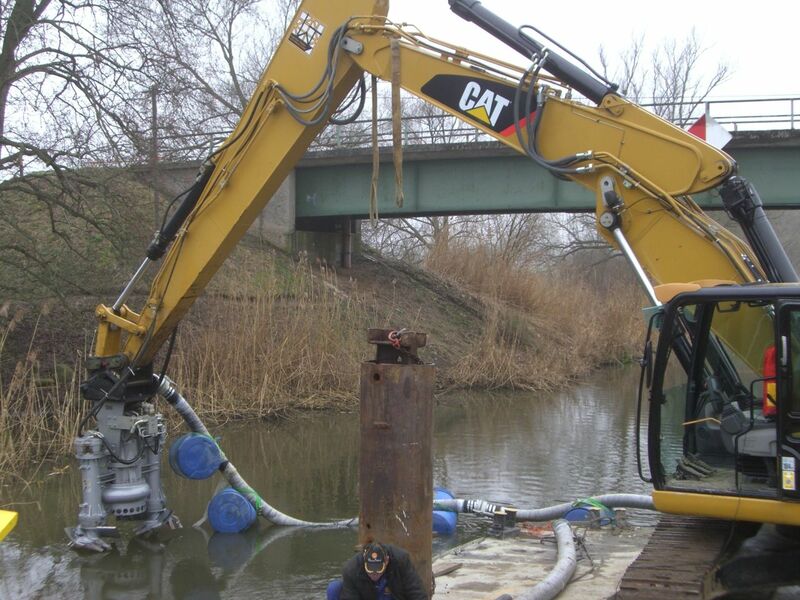 Dragflow HY50 driven by a 13 Ton CAT digger. 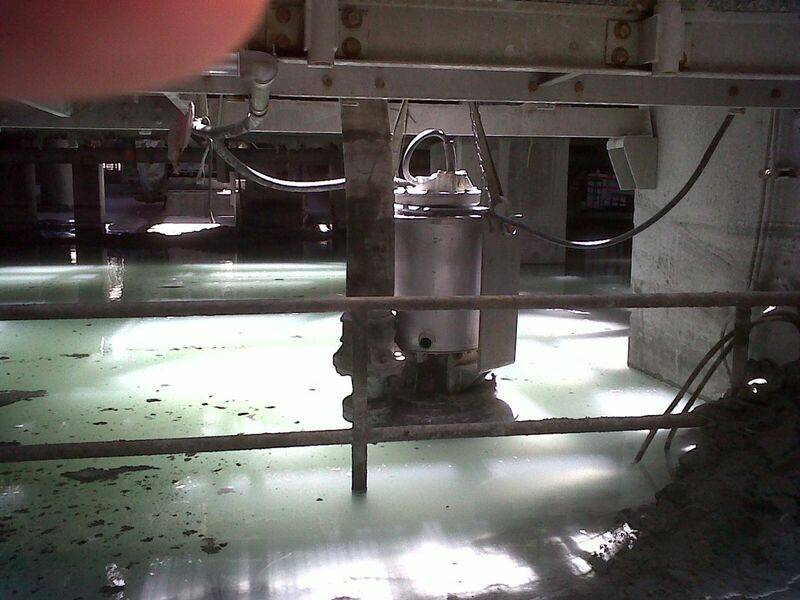 Spray ring / HH80 Sykes Pump. 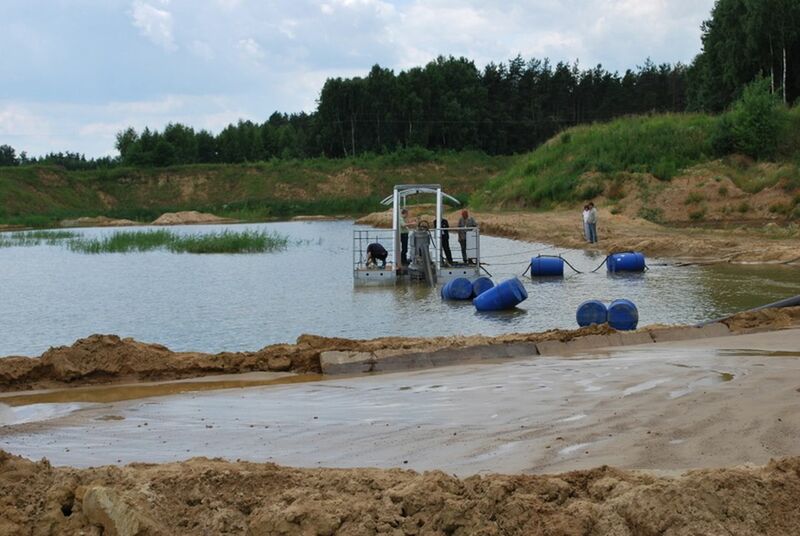 The unit out performed traditional method of using sucker trucks. 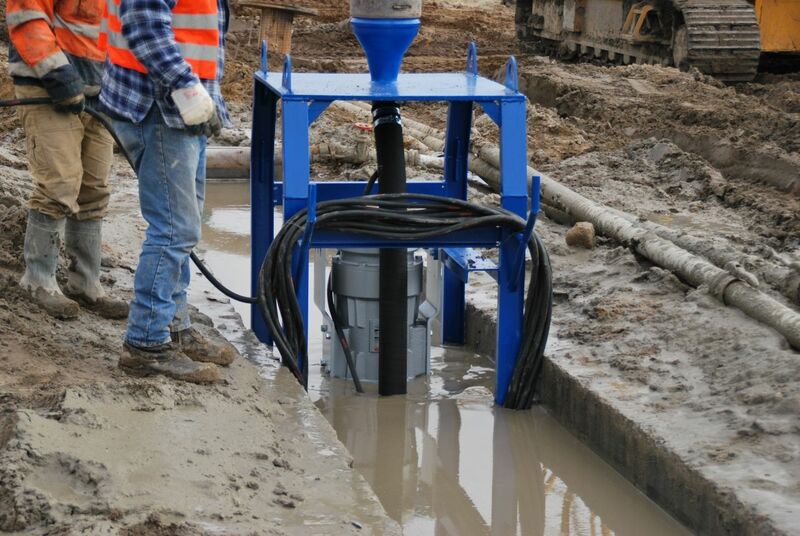 Using sucker trucks 2 weeks, Dragflow Pump 4 Days , 70% less time consumption and costs. 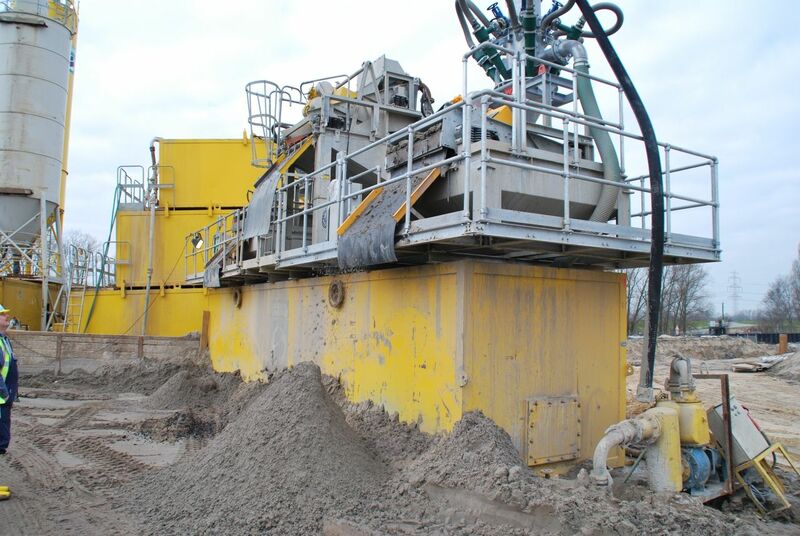 The working site is a channel situated in eastern Germany. 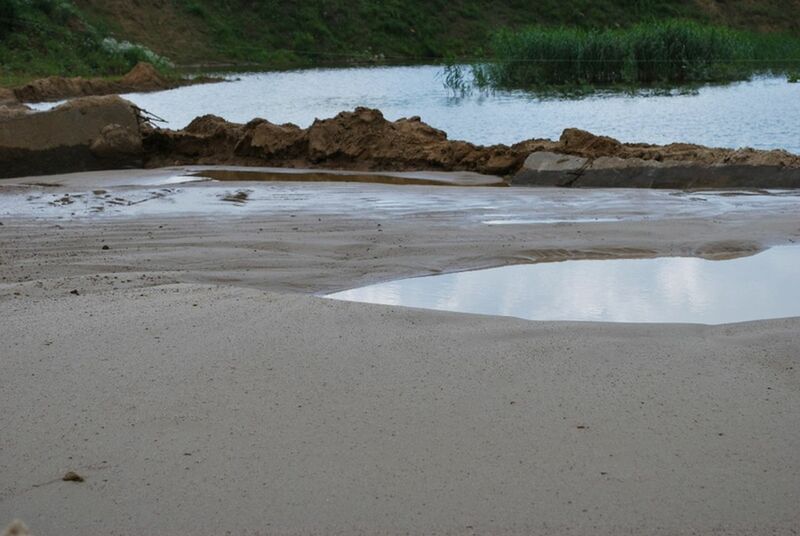 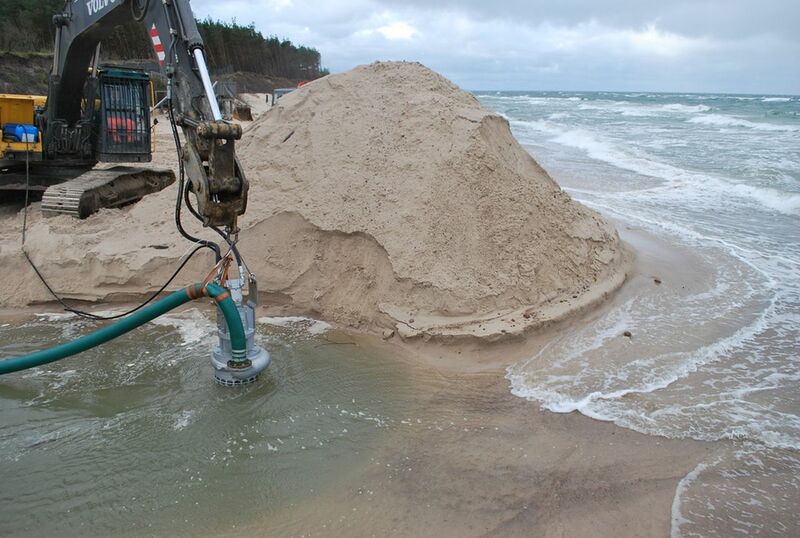 Deposits of sand, lime and gravel has considerably lowered the water depth of the channel. 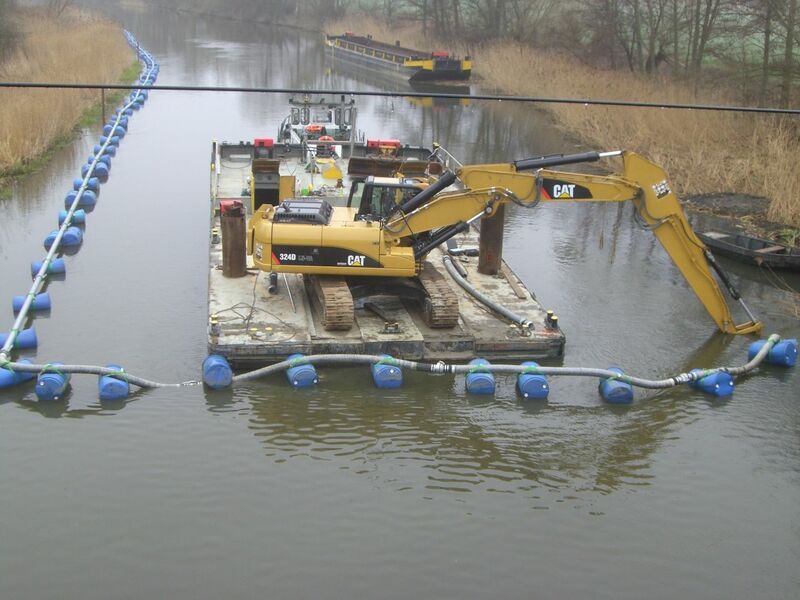 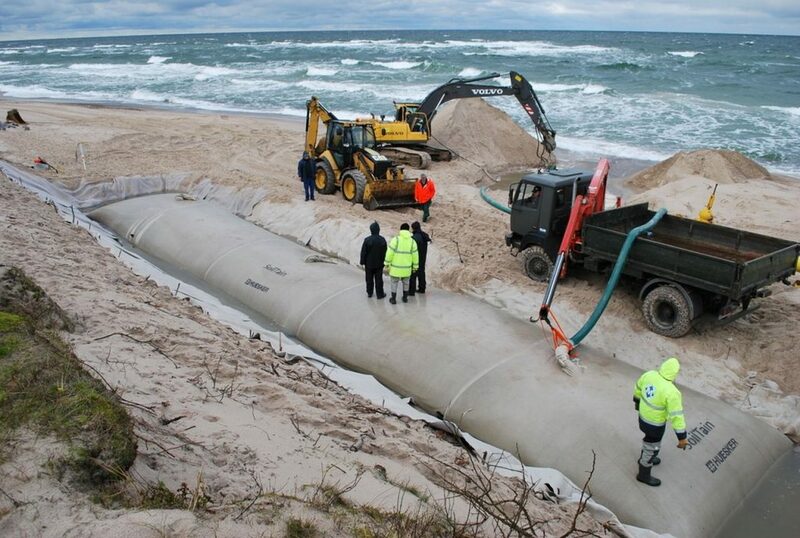 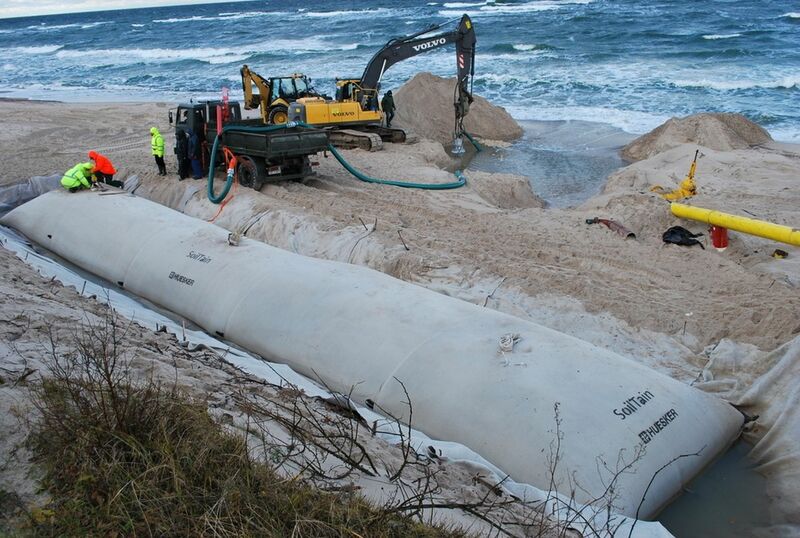 Fast dredging was required in order to re-open the channel to navigation. 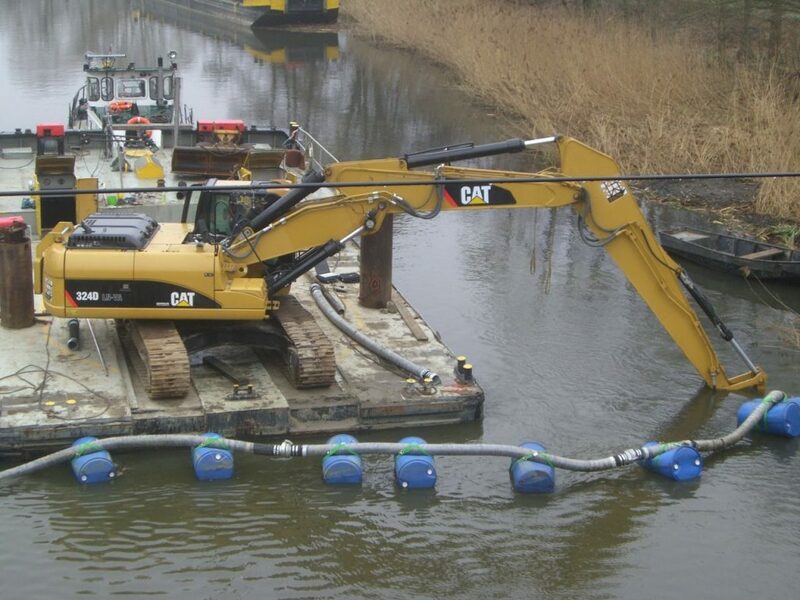 The customer already had an excavator CAT 324 and a floating platform to perform excavation on the channel. 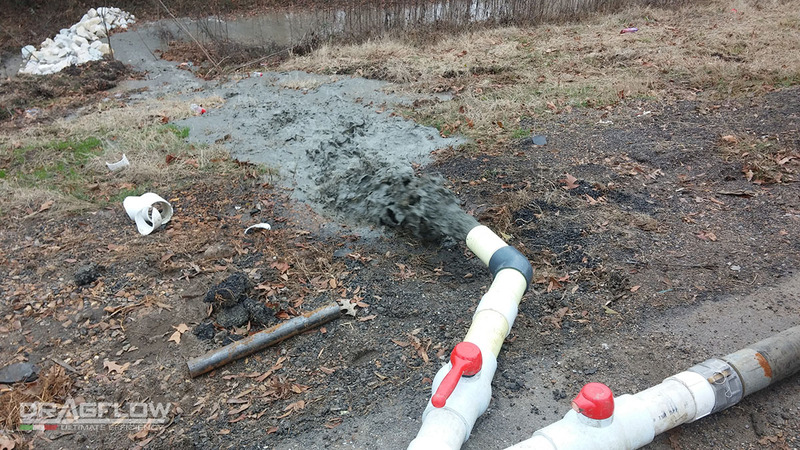 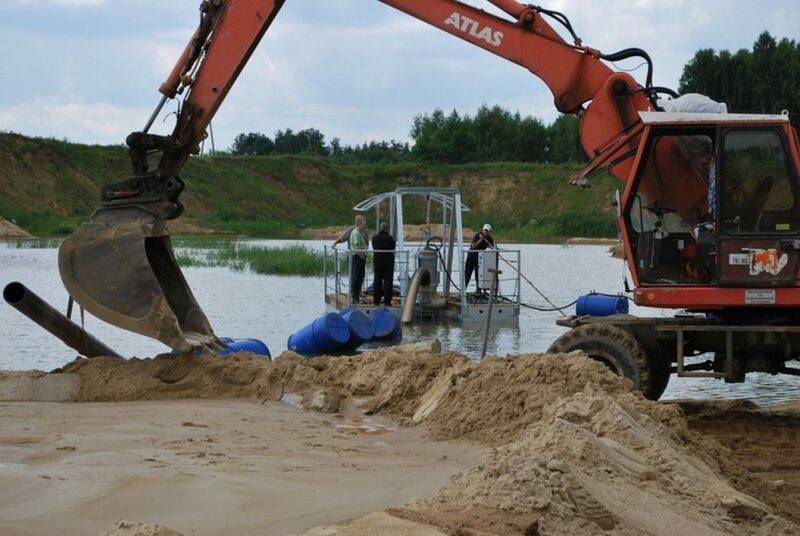 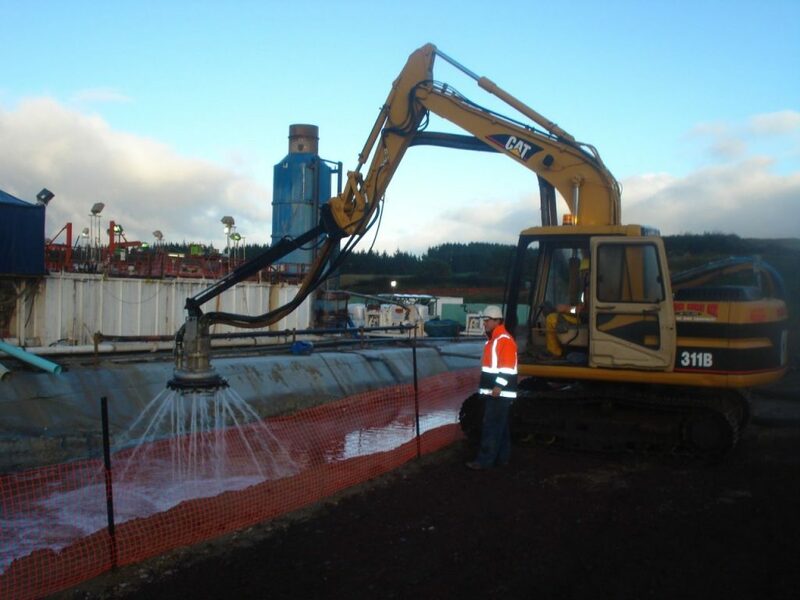 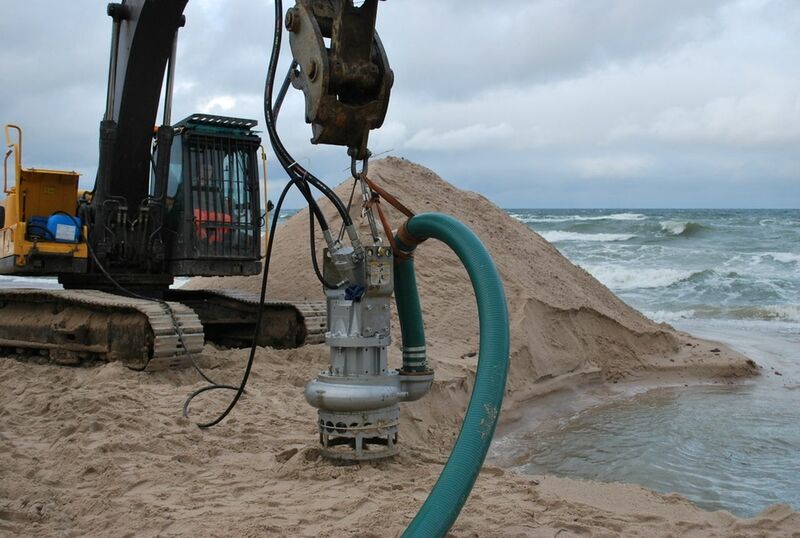 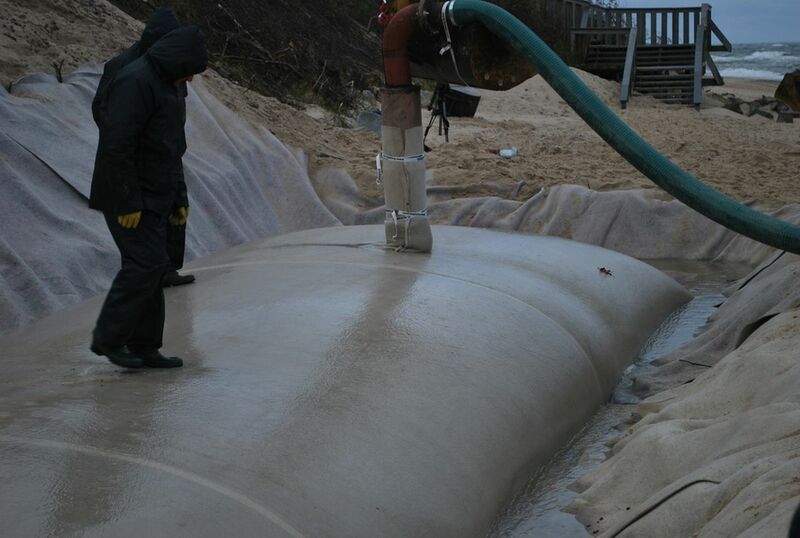 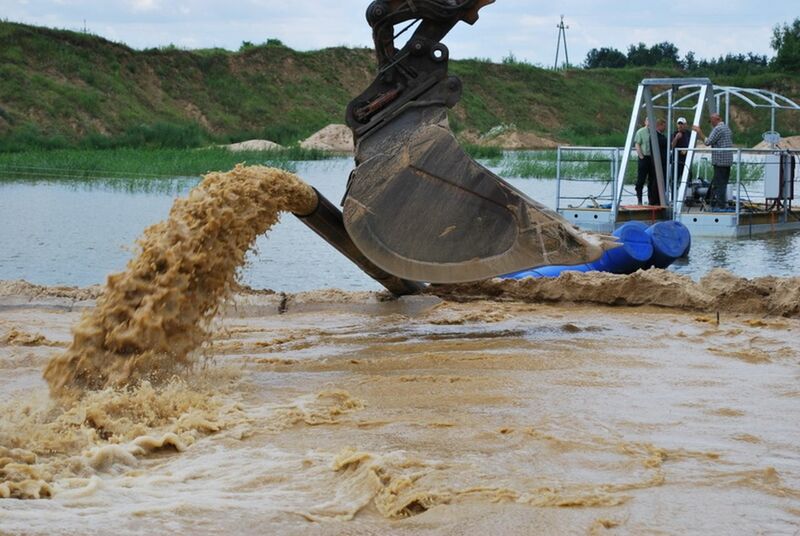 Customer was looking for a dredging solution that was able to avoid loading and unloading of trucks in order to save time and contain operating cost. 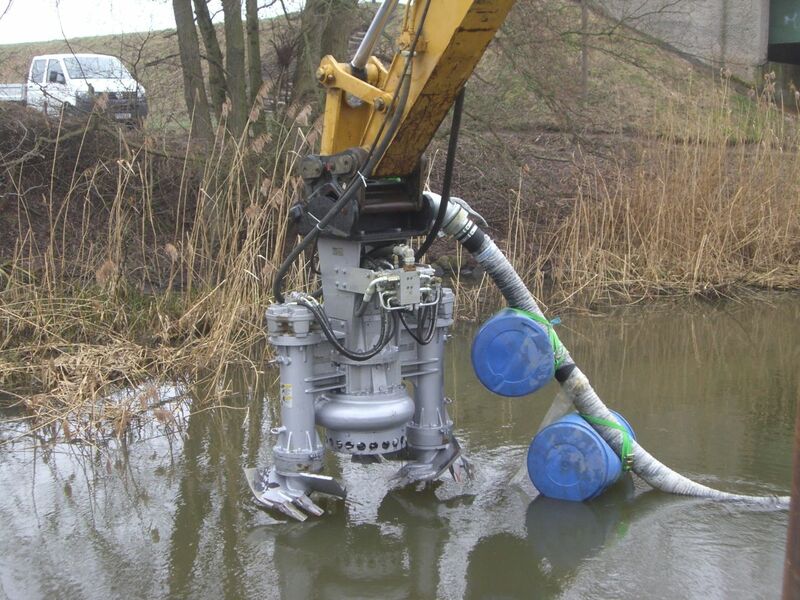 Dragflow HY85B with two dredging cutters EXHY20 directly mounted and driven by the excavator CAT 324. 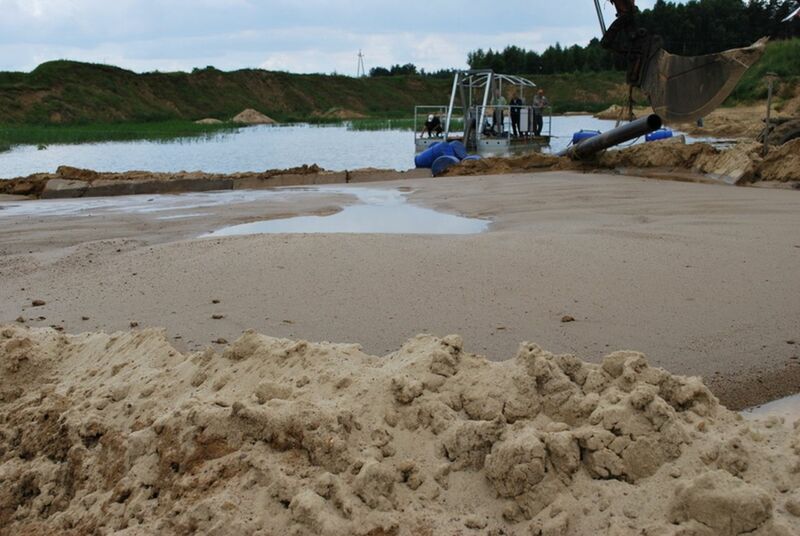 Discharge distance of about 400m with a solid production of more than 100 m3/h.